As we don’t remember our past lives, how do we learn anything from them? 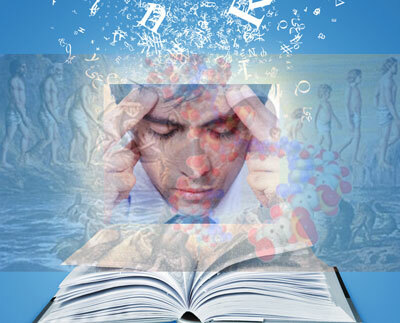 Question: The reincarnation theory claims that we are given multiple lives for cumulative learning. However, as we don’t remember our past lives, how do we learn anything from them? Answer: The cumulative learning over multiple lives is the assimilation of essential life-lessons about how to act and how to live, not the recollection of specific life-experiences about what we did and when. Handling boiling water: All of us are cautious when handling boiling water. Do we remember the specific time, place and circumstance when we learn this caution, possibly the first time when we put our hand in boiling water and burnt it? Unlikely, but that learning did happen due to some experience in a remote forgotten past. Though we have forgotten the details of that experience, we have assimilated its essential lesson: caution in handling boiling water. Reading: Every time we read, we utilize hundreds of grammatical rules and thousands of word meanings that we have learnt over many years. Most of us have forgotten the details of when and how we learnt those rules and meanings, but our assimilation of the essence of those learning-experiences is evident in our present ability to read. This focus on principles during cumulative learning is a blessing of nature that ensures our smooth and swift daily functioning. Just imagine how our brain would be cluttered and overloaded if, whenever we started reading, we were swamped by the innumerable specific memories related to each rule and meaning that we were using while reading! This same mechanism of cumulative learning – assimilation of principles, obliviousness to details – applies to the life-lessons that we have learnt from our past lives. Nature spares us the neural overload that would paralyze us if, whenever we had to do a thing, we had to process all the innumerable specifics of its related past-life experiences. Lord Krishna in the Bhagavad-gita (15.8) states that, just as what the wind carries from one flower to the next is subtle: the fragrance, what the soul carries from one life to another is subtle: the conceptions of life. These conceptions of life are the innate tendencies and natural inclinations that we were born with and that shape our habits of thought, perception and behavior. Thus, the cumulative learning of our past lives has made us the persons that we see in the mirror. To summarize, just as the training in this life over many years leads to the subconscious learning of habits and abilities, the training over multiple lifetimes through numerous experiences leads to the subconscious learning of inclinations and tendencies. Why are some people born wealthy and some poor? Is there any proof of reincarnation? Why discuss unscientific things like God, soul and rebirth in this scientific age? This is an honest attempt to rationalize behaviour patterns in connection with past lives. But what is the proof or evidence of these assumptions ? Might not the tendencies we have be a product of statistical deviations rather than being based on a pointed direction dictated by our past ‘karma’ ? Chaitanya Charan Prabhu has very nicely tried to explain the reality of the past lives using “examples of this-life learning”. Realities such as past life and transmigration as quoted from the Gita here, are subtle. Spiritual experiences or for that matter even subtler material experiences are more to do with realization than knowledge. Considering that the laws of karma are very difficult to comprehend or explain, it is best to fan the spark of the initial fire (faith) and work our way towards realizing the absolute truth while constantly being fed by the knowledge revealed in the scriptures such as Gita. Towing the example here, when a child is once burnt while handling hot water, he will never want to hurt himself again even involuntarily. When the child learns that hot water will burn, the reality of hot water burning is at the ‘knowledge’ level. But when the child is actually burnt while handling hot water the knowledge turns into realization which is more powerful and has more impact on the child. If this is true for a simple bodily experience, how much more it should be for experiences involving the soul which is anti-material? If you want scientific evidences, you might want to consider reading about NDE (near-death-experiences) and OBE (out-of-body experiences). Chaitanya Charan prabhu elucidates something about their authenticity in http://www.thespiritualscientist.com/2011/04/are-ndes-hallucinations/ as well. Some cardiologist(s) like Dr. Micheal Sabom, professor(s) like Dr. Ian Stenvenson had-been/had work(ing/ed) on the same. As pointed out in the article, these subject matters are subtle enough that it might take more time of modern science to quantify these things. It would also be great to have Chaitanya Charan prabhuji to speak on these subjects to uplift the faith of people in spirituality by providing scientific evidence which is the motto of this website. PS. It seems to me that some people might mistake NDE/OBE for hallucinations because they are dealing with subtle enough subjects to be sometimes easily misled either by intuition (or) simple interpretations. The proof is that Lord Krishna states clearly in the Bhagavad-gita (8.6) that we carry the mentality that we have cultivated in this life into the next life. Several psychiatrists like the late Dr Ian Stevenson have written extensively about the inadequacy of social and childhood and genetic influences in accounting for human behavior fully and so have suggested that past-life tendencies may complement, not contradict or supplant, these conventional scientific explanations. What materialistic science considers statistical deviations are called “deviations” because materialistic science doesn’t have any adequate explanation for them. As Krishna controls material nature, there are no arbitrary, uncaused deviations from his perspective. To call the above explanation as rationalization of one’s present behavior in terms of past-life causes is unwarranted because the Bhagavad-gita (18.63) clearly indicates that all of us always have free will; all causes – whether from the past life or the present life – push us to act in particular ways, but they don’t force us. The proof is Krishna’s words in the Bhagavad Gita. Our present science has not reached that stage of inductively verifying these assumptions. Our instruments are not right. Scriptures tell us things that are not possible to verify with our imperfect senses. Our present day science cannot prove the scriptures right, nor can they prove them wrong. But there are many instances of scriptures quoting facts which were considered ridiculous a few decades or centuries back. Eg. Earth is round was not accepted during the time of Copernicus for which he was punished by the Church, but the Bhagavatam states that this world is round with 7 continents. Bhagavatam is a scripture that is eternal and timeless(at least 5000 years old according to modern day knowledge). Bhagavatam also states the details of the development of the embryo in the 9 months of pregnancy (when do the various body parts appear in the body of the baby in the womb). This was unknown to modern science until advent of Sonography a few decades back. Just as these facts quoted by scriptures were considered unthinkable and ridiculous at that point of time, but were proved true later, in the same way, other facts quoted in the scriptures should be examined in the same light. Yes, The Bhagavatam is a great book. We can also have an idea from It about the concept of time & space of sages of vedic time from the story of King Raivat who took his daughter to Brahma Lok in search of a husband for her (tenth canto) . Explanation of which is very near to Dr. Einstein’s theory of the relativity of time & space. The sages not only have the knowledge , but they knew how to convey it to ordinary people so that they can comprehend it. Many thanks for such an enlightening article. I am a student of Vedic Astrology and I have always wanted to know what karma traslate to what mishaps (specially diseases) in next life of human beings. The reason is that, if we come to know what we did wrong in our past life to suffer with a disease now, we can rectify ourselves and NOT commit the same sins again. I hope you understand what I am asking for. Are their any books on this subject? Please help. A VERY GOOD ARTICLE IN SIMPLE WORDS & EXPLAINING A VERY COMPLEX PRINCIPLE! THE CUMULATIVE LEARNING CAN BE ALSO CALLED THE ‘SANSKARS’ OR IMPRESSIONS COLLECTED BY THE SOUL DURING ITS JOURNEY OF MULTIPLE BIRTHS! ULTIMATELY, WHEN THE SOUL IS ABLE TO ELIMINATE ALL ITS NEGATIVE & POSITIVE SANSKARS BY EITHER TRUE KNOWLEDGE, OR TRUE BHAKTI, THEN IT REACHES ITS PERFECTION, GOD REALIZATION!